Buying the right helmet is extremely important, and no we’re not just talking about the colour and design, it’s all about how safe the helmet is in an accident. It’s not something we like to think about but helmets for UK motorcyclists are compulsory for a reason. So before you start eyeing up that replica race helmet you love, or plan on getting your own one designed, there’s a few things to think about first. Start by thinking about the style of helmet you want; bucket, full lid, flip lid or something different? It all depends on what you use your motorcycle for. Once you’ve picked then it’s time to head down to your local dealer to get trying on! We’ve got some handy tips to make sure your helmet fits correctly. First things first, get out there and try on as many different helmets as possible – it’s just like finding the right bike for you. As we already know, there are hundreds of different helmet manufacturers out there so it’s good to try on a variety as they all have different fits; what might fit you, may not be suitable for your friend. Knowing the size and shape of your head is important for the task ahead so grab yourself a tape measure and wrap it around your head approximately 1 inch above your eyebrows. You may want to measure your head several times to make sure it’s an accurate result. Now you can get picking a helmet with the measurements you’ve got you can select the closest size to yours by your preferred manufacturer. If you measure between two sizes then opt for the smaller size. There shouldn’t be any room for movement, and no space to fit your fingers between the lining and your brow. Does the helmets inner lining fit around your head? Does the helmets top pad press closely on top of your head? Are the cheek pads touching your cheeks? Does the brow lining fit snuggly against yours? Please not the sizing is for adults. Now you’ve decided on style, size and colour there are some other factors to take into consideration. We know that we don’t always have the best summers in the UK but ventilation is an important factor. When the sun does decide to pop his hat on then you’ll want a helmet that keeps you well ventilated when out riding, however when the cold weather returns (like it always does) you’ll want to shut these off to keep yourself nice and toasty. Also, you’ll need to think about noise. 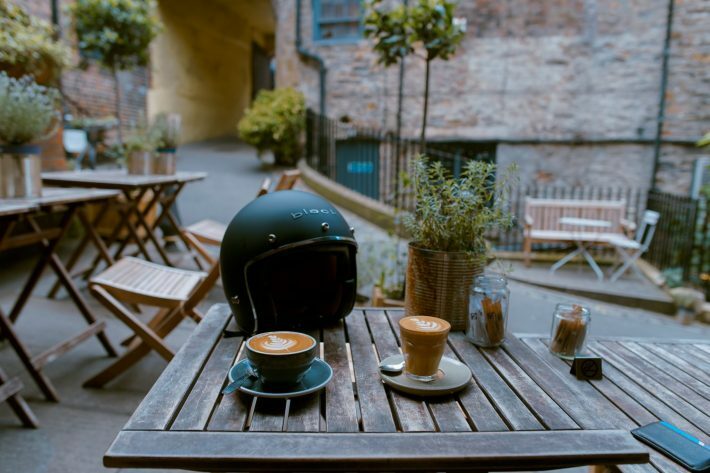 It’s already going to be a loud ride when you’re roaring around on your Sunday ride or your weekly commute, so finding a helmet with that helps reduce any excess noise is a must. It can be quite difficult to test this when you’re limited to a shop so always read reviews and ask questions to help make the best decision. Removable liners can also be handy, especially if you’re wearing your helmet quite a lot. With day-to-day use these can become dirty, and even smelly, so taking them out to wash can make everything that little bit easier. Now you’re ready to go on the amazing adventure of finding a new motorcycle helmet, exciting stuff!